What Luke Did Next...and What Lottie Loves > investigating > What’s Inside? I am quite interested in technology and love to know how everything works so when my Mum was wondering what to do with her old laptop (old, old- not this one which she really needs to replace but the one before that- so really old!) I asked if I could take it apart to see how it works. I know computers hold loads and loads of information and have huge memories but had never seen what their ‘brain’ looks like. I was able to sit down with a screwdriver and take all the casing off and then started to remove all the parts. I was really surprised at how small the pieces were that actually contain all the information and couldn’t believe how little these machines actually need to operate them. It is really clever how so much technology is contained in a small piece of plastic. My parents were telling me about how when computers were first invented they needed a whole room to store just one- I wonder how small they will be by the time I am grown up?! 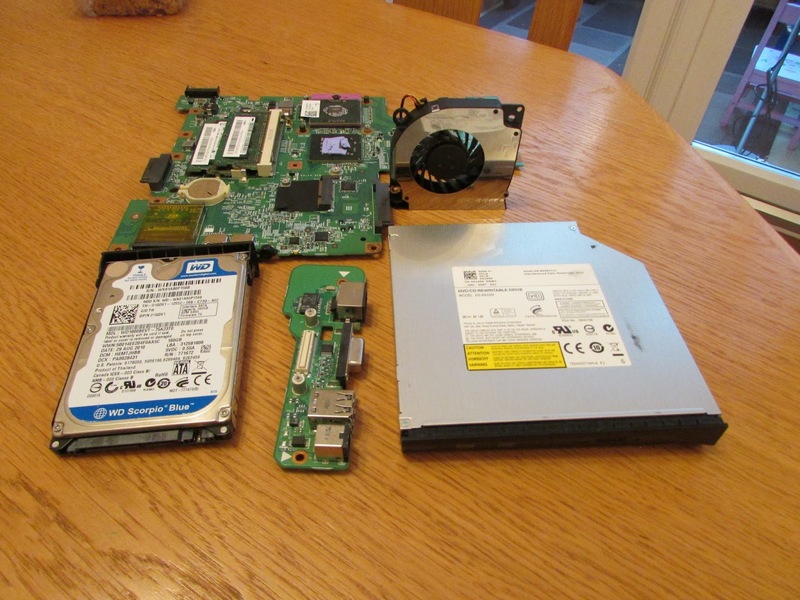 Dad has asked his work if he can take one of their very old hard drivers for me to look at and compare the difference to the laptop parts with so I am looking forward to doing that. I am now on the hunt to see what else I can take apart- Mum is hoping I might start learning how to mend things rather than break them so I can fix her oven that Dad broke!